A veteran fighter known as “the sheikh of snipers” has been killed in Iraq’s battle to retake the town of Hawija from the Islamic State group, his paramilitary force announced Saturday. Abu Tahsin al-Salhi, who took part in conflicts dating back to the 1973 Arab-Israeli war and said he had gunned down at least 320 IS jihadists, died on Friday. 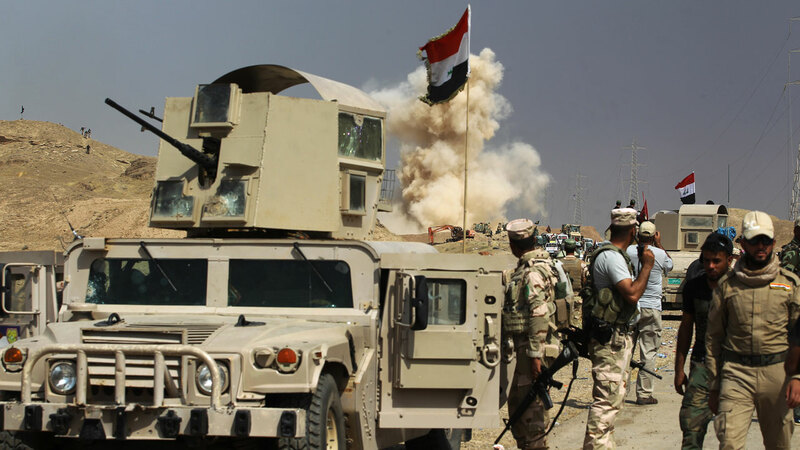 He was killed as he advanced on Hawija in northwest Iraq, said Ahmad al-Assadi, spokesman for the Hashed al-Shaabi alliance mostly of Shiite militias fighting alongside government forces against the last jihadist bastions. At his funeral on Saturday near the southern port city of Basra, close friend Ahmad Ali Hussein said the marksman was widely known by comrades as “the sheikh of snipers” or “hawk eye”. A grey-bearded hulk of a man who drove an offroad motorbike and wore a black-and-white chequered scarf and fingerless mittens, Abu Tahsin was inseparable from his Austrian-manufactured Steyr rifle. In a Hashed video, the 63-year-old warrior gives a rundown of his career as a sniper, starting in 1973 when he was part of an Iraqi brigade fighting on Syria’s Golan Heights. He also fought in late dictator Saddam Hussein’s 1980-1988 war against Iran, his 1990 invasion of Kuwait and against US troops who toppled Saddam in 2003, before turning his sights on IS.